You’re looking at the future of skin care, right here, for a number of reasons. Firstly, note the absence of scare-language. There’s nothing to imply that it’s your age that needs rectifying. Secondly, 98% natural – it’s the way the beauty industry is heading: using as much natural content as possible over cheaper synthetics, and finally, multi-functionality. 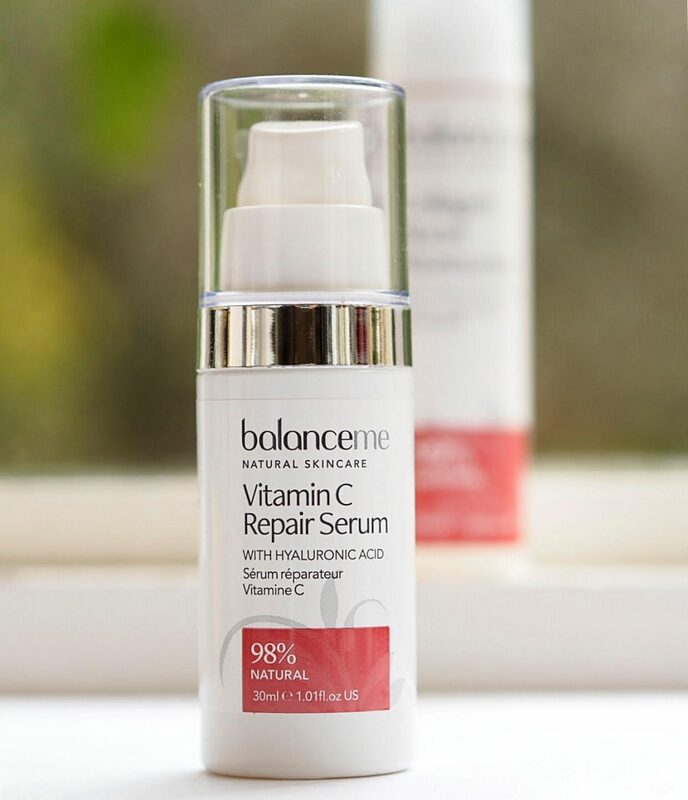 Balance Me Vitamin C Repair Serum couldn’t be further from the (sure to die?) trend to mix and match your own skin care with numerous individual ingredients – this is done in one. It’s targeting hydration, pigmentation, elasticity, brightness and texture at any age, although by its nature is probably more suited to older skin which is more likely to experience those particular issues. Other than a cursory try, I haven’t put this to any tests on my own skin because I’m already testing several products, but thought it’s well worth flagging up if you’ve come out of summer with more pigmentation than you started with. At £32 it seems good value, too. Vitamin C is hard to stabilize anyway, let alone a natural version which represents advances in the natural skin care formulation market. 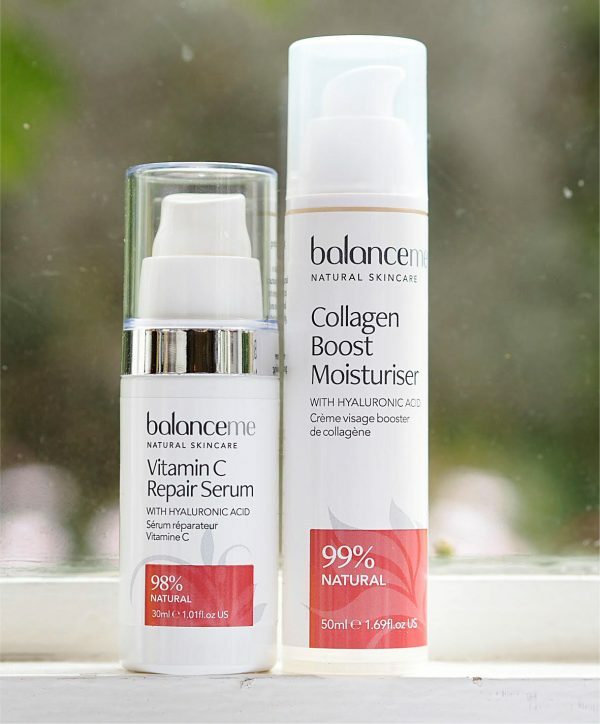 The brand suggest that the Vitamin C serum is best partnered with the Collagen Boost Moisturiser, £26, above, but you can use it with whatever you like, really. 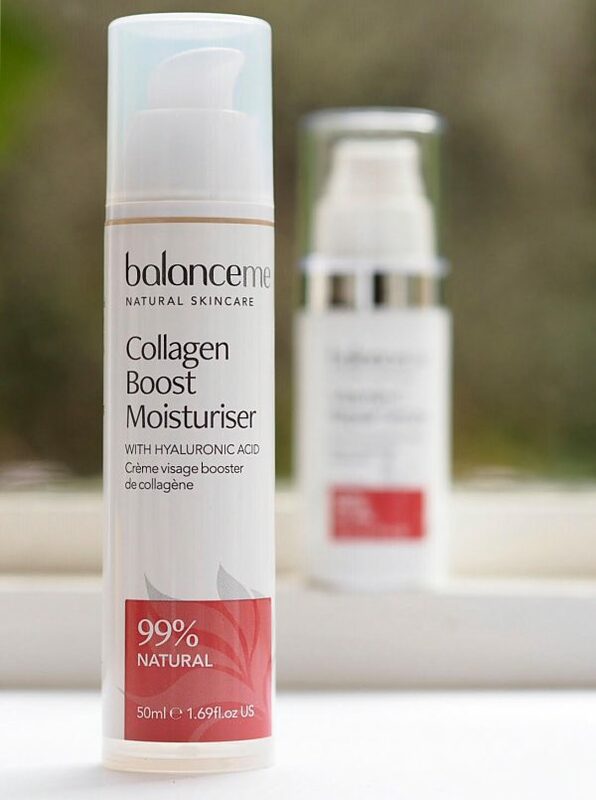 There’s no need to specially partner them but if you’re running low on moisturiser, you might want to consider it (and you get a free cleanser…!). They’re HERE. I use the word ‘natural’ in the sense of not synthetic but please bear in mind that many synthetics are more than adequate and won’t upset your skin any more than a natural can.